LegaSystems’ Premium Support Services for Office 365 are designed to provide superior, ongoing tech support for your environment. Finding and retaining expert administrators with deep knowledge in each Office 365 component can be challenging and waiting for issue resolution can significantly hinder employee productivity. LegaSystems is one of the Office 365 providers which has successfully deployed and supported Microsoft SharePoint, Lync, Exchange and Azure Active Directory including Federation and Sync solutions in both cloud-based and on-premises environments. Let our team of dedicated, expert administrators, developers and engineers complement your resources, reduce the ongoing administrative burden and maximize your Office 365 investment with a predictable monthly operating expense. 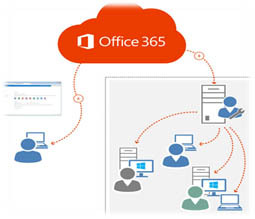 Why to Choose LegaSystems among other Office 365 Providers? Continuity — Certified Office 365 administrators and engineers who are intimately familiar with your environment and function as an extension of your team. Capability — Our team of certified SharePoint, Lync and Exchange consultants support your Office 365 administrators and are ready to assist with any troubleshooting or enhancements. Reliability — Office 365 expertise combined with direct access to Microsoft Tier 2 & 3 engineers through the Cloud Hosting Partner program ensures you receive prompt and reliable issue resolution. Powershell Plugin for each service in your environment will alert both you and LegaSystems if any issue arises. Flexibility — Utilize a single agreement for LegaCloud Managed Services for all of your applicable deployed Microsoft technologies. Enhanced proactive premium support for hybrid Office 365 deployments including Exchange, Active Directory and SharePoint hybrid environments. Proactive monitoring of customer-side Office 365 hybrid components such as Domain Controllers, Federation Services, Directory Replication, Mailbox Replication and Exchange Transport Routin. 24/7/365 phone, email and self-service support by Microsoft Certified engineers who know your environment. Direct access and communications channels to the Microsoft BPOS (Business productivity Online Suite) Shared Services team and datacenter staff that host your data. After your initial deployment to the Cloud, your environment, usage and needs will change. LegaSystems keeps an eye on your service and ensures you get the most reliability and productivity out of Office 365. We monitor and report service health, site collection quota/usage; audit permissions, subscriptions and license availability as well as service health issues on the Microsoft Shared Services infrastructure. Active Directory Federation Services (ADFS) health and status. Directory Synchronization (DirSync) Product patch and installation version monitoring. FIM — Forefront Identity Manager Directory Synchronization process monitoring. Federation Service internal database status monitoring. Event viewer, Windows Server services and diagnostic logs monitoring. Disk space utilization and availability. Proactive detection and notification of server health and performance issues. Alerting to any potential issues or environmental health concert by e-mail, SMS and by placing a phone call to Microsoft Shared Services team. Automated support ticket generation and assignment to a Microsoft Certified engineer with unique knowledge of your environment. Once your systems administrators have identified an issue exists on the Office 365 platform or we receive an alert via automated service monitors LegaSystems’ experts step in to remediate. Your dedicated team members are familiar with common Office 365 issues and your unique environment, expediting your resolution times. All along the way, you will have visibility into the resolution process as we track, troubleshoot, and resolve each issue until complete customer satisfaction and 100% recovery. Finally, we provide a root cause analysis to prevent future issues from recurring. 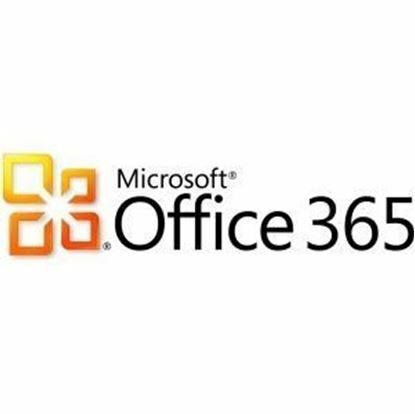 As a Microsoft Cloud Hosting Partner, we leverage our dedicated partner relationship to obtain accelerated support from Microsoft’s expert Office 365 engineers whenever necessary. We will identify and document the issue, log and reproduce as necessary. 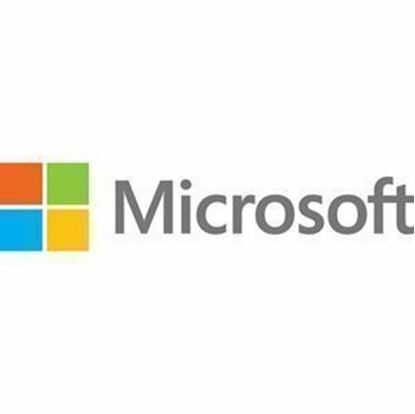 We will engage in troubleshooting the issue, escalate it directly to the Microsoft Shared Services team responsible for managing the Office 365 hosting environment and establish an escalation succession path with that team. We manage the communication regarding any escalated issue, ensuring you are kept up to date on the status and next steps, until the resolution is implemented and validated. Every inbound support call is routed to an on-duty engineer between 8:30AM and 6:30 PM Eastern Standard/Daylight Time. During this time our response time commitment is 30 minutes or less. Each incoming call is logged in Service Manager issue tracking, monitoring and resolution system. Between 6:30 PM and 8:30 AM calls are routed through an on-call hunt group and are logged by the first engineer to pick up a new issue. During this time our response time commitment is 60 minutes or less. Self-service tickets entered online or auto-generated by e-mailing support are responded to within 30 minutes between 8:30AM Eastern Standard/Daylight time and 6:30 PM Eastern Standard/Daylight Time; tickets outside of that window are responded t in 60 minutes or less. PLEASE NOTE: it is our goal to respond to each incident within minutes, however, in the past we have experienced what is known as “cascading effect” where multiple Office 365 customers had called or e-mailed in because of a common issue with Office 365 Shared Services. In these rare cases we try to reach out to premium support customers first to let them know that such an issue exists whenever possible. Whether serving as your primary Administrator or acting as an expert for escalation support, your LegaSystems team member can perform a comprehensive set of Office 365 administration tasks. Manage Lists, Libraries, Metadata, etc. Manage IM & Presence features. Whether developing new enhancements to your environment or supporting existing ones, you need expert developers on your team. Our certified Office 365 consultants perform the initial configuration and customization as well as assist with add-ons and reconfigurations. LegaSystems’ Managed Services customers are eligible for recurring customization services at pre-paid, discounted rates. These services are designed for ongoing new and existing enhancement needs that require consultants familiar with your environment. Build declarative workflows for managing business processes. Customize the look and feel of sites using SharePoint Designer. Connect to and surface external data. Design and build custom code solutions in Visual Studio using sandboxed solutions. Design and build InfoPath Forms. Integrate Communication-Enabled Business Process (CEBP) for Lync Online. Set up integration with 3rd party voice providers. Local and wide Area Network Infrastructure Design. Microsoft service provider: Office 365, Azure, BPOS. Firewall, and Intrusion Detection Implementations and Troubleshooting. Directory Services and Messaging services on-premises and in the cloud. Enterprise Network Management and monitoring. Unified Communications and voice for Office 365. Server and Desktop Virtualization on-premises and in the cloud. Managed system monitoring, backup and threat prevention. Private clouds in our state of the art hosting facility or self-hosted. Application delivery, scalability and VDI on-premises and in the cloud. Flexible hosting solutions from a single virtual server to complete cage build-outs.